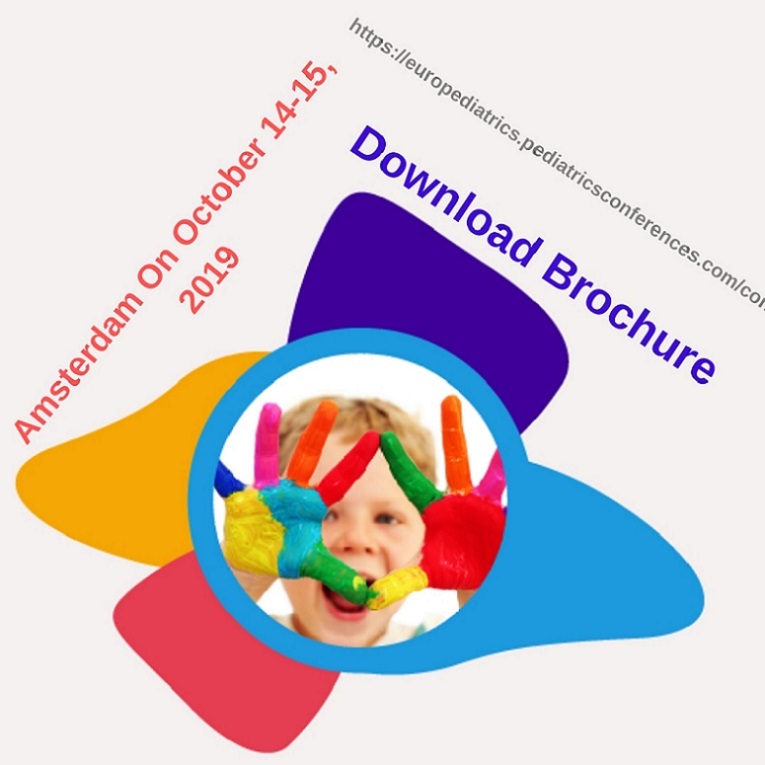 It is a great pleasure and an honor to extend to you a warm invitation to attend the 31st European Pediatrics Congress, to be held October 14 – 15, 2019 in Amsterdam , Netherlands. We sincerely welcome all the eminent researchers, students and delegates to take part in this upcoming conference to witness invaluable scientific discussions and contribute to the future revolutions in the field of Pediatrics. 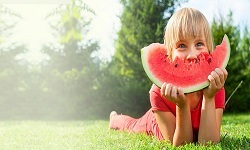 Euro Pediatrics 2019 will be sorted out around the theme “Enlightening The Advancements And Exploring The New Horizons In Pediatrics"
Pediatrics is the branch of medicine concerned with the development, medical care, and diseases of babies, children and adolescents from birth up to the age of 18. The aims of the study of pediatrics is to reduce infant and child rate deaths, command the spread of infectious disease, promote active lifestyles for a long disease-free life and help simplify the problems of children and adolescents with chronic conditions. Euro Pediatrics 2019 provides two days robust discussions on methods and strategies related to diagnosis, prevention and management of pediatric diseases as well as explore new ideas and concepts on a global scale and the topics include pediatric immunology, pediatric hematology and oncology, pediatric allergy, neonatology, pediatric cardiology, pediatric neurology, pediatric psychology and pediatric emergencies. The conference also welcomes the participation of Presidents, CEO’s, Delegates and industrial executives from Pediatric Pharma and Health care sectors making the conference a perfect platform to network, share views and knowledge through interactive keynote, plenary, poster and B2B discussions. This medical conference will give a magnificent forum for you to update your insight and investigate the advancements in Pediatrics. We cordially welcome you to Amsterdam also known as the City of a Artistic Heritage and beautiful city of Netherlands and we are sure you will have fruitful and memorable experience in science and tourism. Euro Pediatrics Conference is the best platform for learning about Pediatrics, to reach the largest assemblage of participants from across the globe. Conduct demonstrations, distribute information, meet with senior pediatricians, make a splash with a new advancement, and receive name recognition at this 2-day event. World-renowned speakers, the most recent advancements and the newest updates in Pediatrics fields are hallmarks of this conference. Albanian Association of Perinatology. 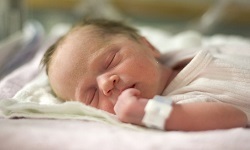 British Association of Perinatal Medicine. European School of Perinatal Medicine. French Society of Neonatology. Hellenic Neonatal Society . Asian Society for Pediatric Research. Asian Society for Pediatric Infectious Diseases. Asia Pacific Pediatric Orthopedic Association. Asian & Oceanic Society for Pediatric Radiology. American Pediatric Society. Argentine Society of Neonatology. California Association of Neonatologists. Chilean Society of Neonatology. Colombian Federation of Perinatology. Florida Society of Neonatologists. Southeastern Association of Neonatologists (USA). Portuguese Neonatal Society. Turkish Neonatology Society . Swiss Society of Neonatology. British Association of Perinatal Medicine. European School of Perinatal Medicine. French Society of Neonatology. Asia Pacific Pediatric Association. Asian Society for Pediatric Research. Asian Society for Pediatric Infectious Diseases. Asia Pacific Pediatric Orthopedic Association. Chilean Society of Neonatology. Colombian Federation of Perinatology. Florida Society of Neonatologists. Southeastern Association of Neonatologists (USA). Albanian Association of Perinatology. British Association of Perinatal Medicine. European School of Perinatal Medicine. French Society of Neonatology. Portuguese Neonatal Society. Turkish Neonatology Society. Swiss Society of Neonatology. Israel Neonatology Association. Asia Pacific Pediatric Association. Asian Society for Pediatric Research. Asian Society for Pediatric Infectious Diseases. Asia Pacific Pediatric Orthopedic Association. Asian & Oceanic Society for Pediatric Radiology. Colombian Federation of Perinatology. Florida Society of Neonatologists American Pediatric Society. Argentine Society of Neonatology. Southeastern Association of Neonatologists (USA). European School of Perinatal Medicine. French Society of Neonatology. Hellenic Neonatal Society. Ibero-American Society of Neonatology. International Association for Maternal and Neonatal Health. Italian Society of Neonatology. Portuguese Neonatal Society. Asia Pacific Pediatric Association. Asian Society for Pediatric Research. Asian Society for Pediatric Infectious Diseases. Asia Pacific Pediatric Orthopedic Association. Asian & Oceanic Society for Pediatric Radiology. 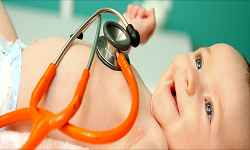 Pediatrics Conference | Euro Pediatric Conference Europe | Pediatric Conference 2019 | Neonatology Congress | Pediatric Oncology Congress 2019 | Pediatric Neurology Conference | Pediatric event 2019 | International Pediatric congress. Australia and New Zealand Perinatal Society. Israel Neonatology Association. Asia Pacific Pediatric Association. Asian Society for Pediatric Research. Asian Society for Pediatric Infectious Diseases. Asia Pacific Pediatric Orthopedic Association.. Asian & Oceanic Society for Pediatric Radiology. Australia and New Zealand. Perinatal Society. Israel Neonatology Association. Asia Pacific Pediatric Association. Asian Society for Pediatric Research. Asian Society for Pediatric Infectious Diseases. Asia Pacific Pediatric Orthopedic Associations. Albanian Association of Perinatology. British Association of Perinatal Medicine. European School of Perinatal Medicine. French Society of Neonatology. Hellenic Neonatal Society. Ibero-American Society of Neonatology.International Association for Maternal and Neonatal Health. Italian Society of Neonatology. Australia and New Zealand. Perinatal Society. Israel Neonatology Association. Asia Pacific Pediatric Association. Asian Society for Pediatric Research. Asian Society for Pediatric Infectious Diseases. Asia Pacific Pediatric orthopedics association. Asian & Oceanic Society for Pediatric Radiology. American Pediatric Society. Argentine Society of Neonatology. California Association of Neonatologists. Chilean Society of Neonatology. Colombian Federation of Perinatology. Florida Society of Neonatologists. Hellenic Neonatal Society. Ibero-American Society of Neonatology . International Association for Maternal and Neonatal Health. Italian Society of Neonatology. Portuguese Neonatal Society. Turkish Neonatology Society. Swiss Society of Neonatology. Australia and New Zealand. Perinatal Society. Israel Neonatology Association. Asia Pacific Pediatric Association. Asian Society for Pediatric Research. Asian Society for Pediatric Infectious Diseases. Asia Pacific Pediatric orthopedic association. Asian & Oceanic Society for Pediatric Radiology. Australia and New Zealand Perinatal Society. Israel Neonatology Association. Asia Pacific Pediatric Association. Asian Society for Pediatric Research. Asian Society for Pediatric Infectious Diseases. Asia Pacific Pediatric Orthopedic Association. Asian & Oceanic Society for Pediatric Radiology. Pediatric Critical Care deals with children who are seriously ill and in unstable condition and need immediate attention and cure to live. The unstable condition may include severe asthma, deep diabetic ketoacidosis, infections like pneumonia, and serious injuries from accidents like cares, bicycles, skateboard or rollerblades or near drowning. In case if the child is critically ill and requires careful monitoring, he is placed in pediatric intensive care unit (PICU). There the pediatric critical care doctors work in close with the PICU nurses and doctors to stabilize the condition of the child. Emergency medicine deals with the immediate condition of the patient, his seriousness of injury and how to stabilize his condition. These medicines are targeted towards improving the current unstable condition of the patient and they are generally not given for long term. Emergency medicine for Pediatric also is a different section of emergency medicine which deals with kids, neonates and adolescents. Since from the age of 0-18 years, the body keeps growing and especially in the period of 0-5 years the neonate cannot be treated as a “small adults”, special care has to be taken when treating them under emergency conditions. French Society of Neonatology. Hellenic Neonatal Society. Ibero-American Society of Neonatology. International Association for Maternal and Neonatal Health. Italian Society of Neonatology. Portuguese Neonatal Society. Turkish Neonatology Society. Swiss Society of Neonatology. Argentine Society of Neonatology. California Association of Neonatologists. Chilean Society of Neonatology. Colombian Federation of Perinatology. Florida Society of Neonatologists. Southeastern Association of Neonatologists (USA). American Pediatric Society. Argentine Society of Neonatology. California Association of Neonatologists. Chilean Society of Neonatology. Colombian Federation of Perinatology. Florida Society of Neonatologist. 31st European Pediatrics Congress provides the scope for opportunities to learn progressed by international scientists and academicians. 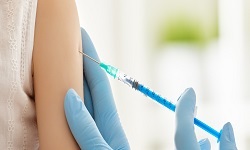 Euro Pediatrics 2019 offers excessive quality content to suit the diverse professional development of these medicines to treat infants and children all over the globe. It is a perfect platform to discuss the current discoveries and developments in the field of Pediatrics. It is a multidisciplinary conference that offers expert diagnosis, treatment and management of all types of Pediatric disorders in infants and children. This conference includes skilled and experienced pediatric surgeons, doctors, neonatologists, perinatologists, pediatric nurses and a team of many other multidisciplinary specialists. With the Annual meeting on Pediatrics Conference 2019, we will expect the expert gathering from Universe so that new idea or new research will come with discussion at the conference and that will be fruitful to treat the pediatric diseases. Conference Series encouraged the “26th European Pediatrics Congress", during October 22-23, 2018 at Amsterdam, Netherlands which was an extraordinary achievement. Discernible keynote speakers from multitudinal assumed establishments and affiliations kept an eye on the get-together with their splendid proximity. The respected guests, keynote speakers and masters shared their innovative investigation and boundless experience data and palaver on various latest and invigorating advancements in each part of Pediatrics examination at the platform of Pediatrics Conference 2018. This meeting has been directed with the point and the straight out goal of advancing the advancements of new recognitions and thoughts for investigating the abnormal state of learning came to by academic group on Pediatrics Conference 2018. This celebrated event facilitated by Conference Series was set apart with the participation of youthful and splendid specialists, clinicians, business delegates and gifted understudy groups. Conference Series has taken the privilege of felicitating Pediatric Conference 2017 Organizing Committee Members and Keynote Speakers of the meeting whose support and attempts made the social occasion to move in the method for achievement. Conference Series offers thanks to each individual member for the colossal stunning reaction. This moves us to continue dealing with events and get-togethers for additionally explore in the field of Pediatrics. Last but not the least ConferenceSeries wishes to acknowledge with its deep sincere gratitude all the supporters from the Editorial Board Members of our Open Access Journals, Keynote speakers, Honourable guests, Valuable speakers, students, delegates and special thanks to the Media partners for their promotion to make this event a huge success.